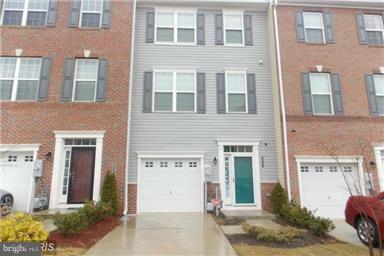 PRICE HAS BEEN ADJUSTED FOR THIS BEAUTIFUL OPEN FLOOR PLAN 3 LEVEL TOWNHOME. THE EATERY HAS STAINLESS STEEL APPLIANCES, GRANITE COUNTER TOPS, AND HARDWOOD FLOORS. ENJOY THE SUN LIGHT BUMP OUT OFF THE KITCHEN. A HUGE MASTER BEDROOM WITH SITTING AREA FOR YOUR RELAXATION, MASTER BATH, WALK IN CLOSET AND FOR CONVENIENCE THE WASHER AND DRYER ARE ON BEDROOMS LEVEL. EASY COMMUTE TO HIGHWAY AND STORES.